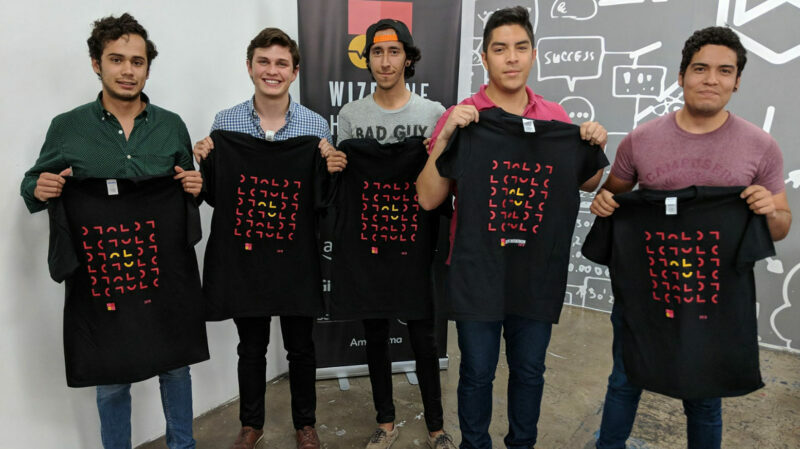 Last weekend, after an intense competition that spanned the week, Generation students in Generation’s Java back-end training program won first place at Wizeline’s first public hackathon for developers in Mexico. The Generation team created a smart chatbot to automate frequented information and facilitate communication between departments, using Amazon Lex, AWS Lambda, Amazon Connect and Amazon SNS. The winning team consisted of Generation’s Ramiro Gonzalez Monroy, Jorge Luis Villaseñor, and Jorge Andrés Hernández Jar. More photos and posts are available on Facebook and Twitter. Wizeline is a global software engineering company that helps companies like Nike, Dow Jones, Dover, 21st Century Fox develop and deliver innovative products.